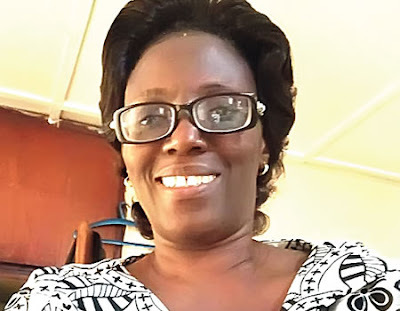 Mrs Ayotola Aremu, a professor of Educational Technology, is the director for the Centre for Entrepreneurship and Innovation (CEI) of the University of Ibadan. In this interview with Modupe George, Chief Correspondent at Nigerian Tribune Newspaper, she says technology is critical to effecting teaching and learning in tertiary education. Excerpts. Today, so much has been said about the importance of the integration of technology into learning. Why should education be technology-based? I am an advocate for the use of technology, but I will always say that technology is not the solution to every educational problem; and that is why as educational technologists, we just want to do a neat analysis. We are in what we call an internet era; a digital world. A globalised village is what we exist in, where knowledge is expanding. What you learnt in four\five years of your course in school might have become obsolete by the time you are getting out. By way of technology-based learning, we want to give our students the ability to be lifelong learners so that they are not just dependent on the content that they have learnt in school. Apart from supporting the content delivery, it encourages students to keep on learning, researching, discovering and finding out information that will be beneficial to their careers. Technology integration in learning is key because now, one can go online and learn so many things; but if you do not have the skill to be a continuous learner, then you have missed it. Secondly, the generation that we are teaching now depends so much on technology; their world is a world of technology. If you want to get into their world, use technology to teach and help them learn. There are other reasons, but to me those two are germane. But don’t you think there is a sense in which technology itself can be a form of hindrance to effective learning in the class? Like I said, knowledge is changing all the time, even I as a teacher\ facilitator, I might not have the most current gist about the content and I go to class and I say this is it and a student comes up and say ‘no, yesterday I learnt that this has happened’. How did the student learn? It is through technology. If I as a teacher I am technology-savvy or have access to technological tools, even right in class I can own up and say this is the situation of things as of when I knew it, but let’s find out right away; and if there are internet facilities in the classroom, why not? Immediately everyone begins to look for the new development about the issue. Another thing is, the students are technology-savvy and they are what we call digital natives. People from our own generation are migrants into the digital era. We did not grow up with it, but they are natives so it is natural with them to use technology. So, if you say do not utilise it in teaching and learning, it is like you are killing their nature somehow.